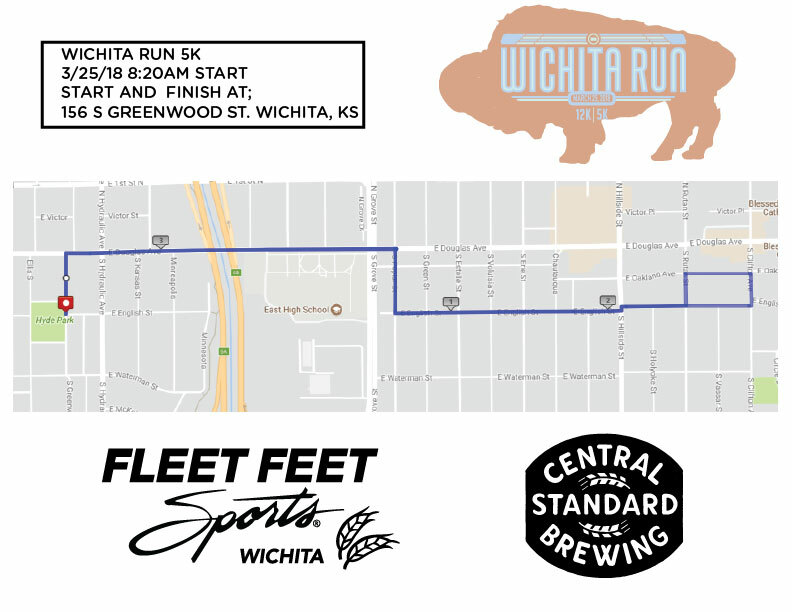 ABOUT: The 2nd annual Wichita Run 12K and 5K will take place on Sunday, March 25, 2018 and is limited to 500 total participants. The certified 12K (7.46mi) will include distinct finisher awards for all participants as well as age group awards and event t-shirt. The 1 mile Fun Run and Walk is un-timed and does include an event t-shirt and finisher award. Race Day Registration and Packet Pick-up will begin at 7:00 am. 5K will start at 8:20am. The Races will conclude with a family friendly after party with music and activities. All participants will receive a race shirt and finisher awards. Walkers welcome in both races, race walking will not be scored/judged. 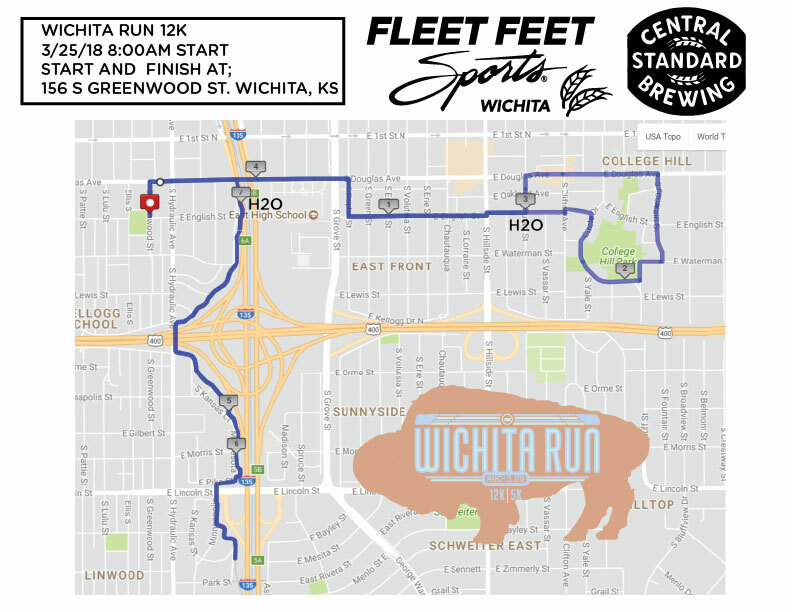 Starting this year you can register for the "Two Brew Bundle" for your race entry to both the Wichita Run 12K on March 25, 2018 and the Air Capital Half Marathon on October 28, 2018. Two Brew participants receive a special beer stein at the completion of the Air Capital Half Marathon. Distances can be mixed and matched however you like! Races conclude with after party at Central Standard Brewing (right beside start/finish line). SPONSORS: We are seeking sponsors for our Wichita Run and Air Capital Half Marathon Events. Email Michael.Flanagan@fleetfeet.com for sponsorship opportunities.